So I single handedly managed to wear enough outfits for at least 3 people but this was the first. I also single handedly took my own outfit photos -not that well- just in the garden, alone. It was warm and muggy and boring but I wanted to show off my crochet top, which was ridiculously cheap though quite awkward to wear considering you can't really wear a bra with it and I must admit I did use a lot of body tape. I want to get on top of all things bloggy and I am trying to sort myself out. If anyone fancies doing some shoots with me now I'm home that'd be greatly appreciated, that's sort of what I need. 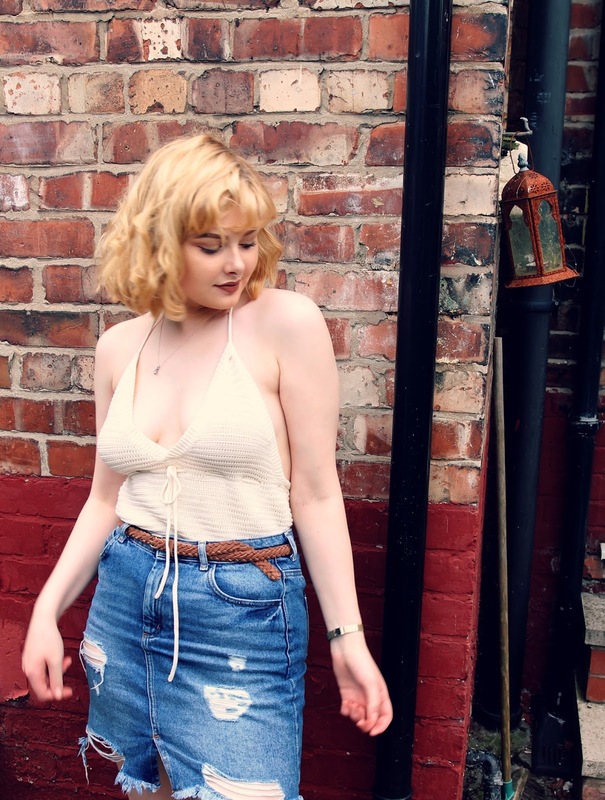 Just a huge amount of outfit photos to work with and hopefully the rest will follow? I suppose we shall see.... in other news I'm super duper tired because whilst writing this I have been up since 6am and spent my day helping out at a gymnastics competition so my brain is not working at it's usual capacity. Soz. Just got back into reading blogs and yours was definitely one of the first I needed to check. I adore this little outfit, so summery and simple!